According to 2010 US Census Data there are 1.7 million India-born people living in America. Ratnesh is one of them, leaving the city of Mumbai at the age of 17 for a new life in New York City. 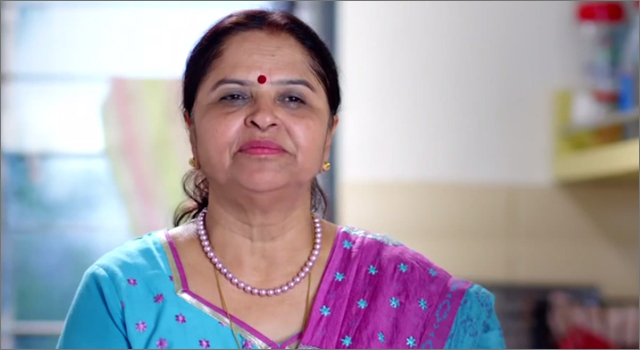 In this beautifully shot clip created by Ogilvy New York to promote British Airways’ “It’s time to Visit Mum!” campaign, we meet Ratnesh and his mother. They’ve stayed in touch, but she hasn’t seen her son in person in the 15 years since he home. The agency has asked her to prepare her son’s favorite meal, and they will deliver it to him via British Airways. What his mother doesn’t know is that the airline has arranged for Ratnesh to fly home to surprise his mother in person. Watch the clip below, then call you mum. If you’d like to try the recipe for Bhindi it’s available as a PDF on the British Airways website.